Nowhere else can you get authentic Cajun cuisine this side of the bayou. 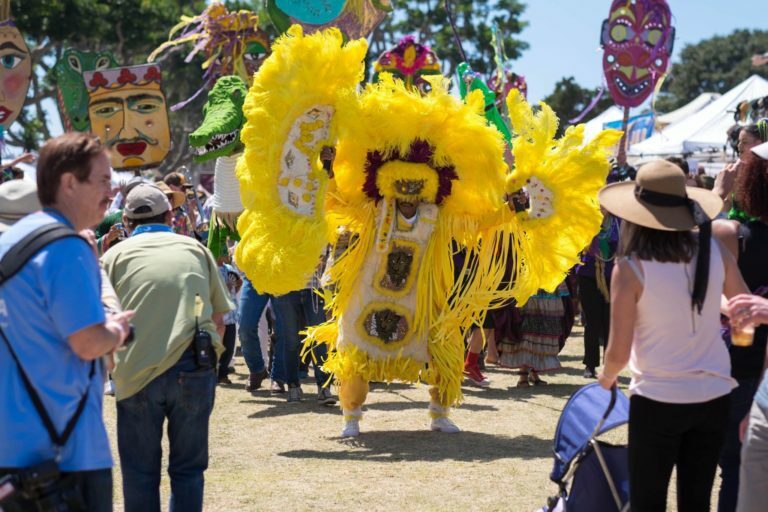 The 14th annual Gator By The Bay is the largest, most authentic Louisiana-themed music and food festival on the West Coast. The event features four days of live music with more than 85 musical acts on six stages, Southern food and the highlight of the festival — 10,000 pounds of crawfish fresh from Louisiana. Gator by the Bay goes from 3:30 p.m. to 10:30 p.m. Friday, 10:30 a.m. to 8 p.m. Saturday, and 10:30 a.m. to 7 p.m. Sunday at Spanish Landing. Tickets range from $25 to $95. This is a fun festival to bring the kids to. In fact, it’s the oldest children kite’s festival in the world. The rules are simple: make your kite and fly it. That’s it. There are kite building and decoration as well as professional kite flyers doing amazing kite demonstrations. And this being San Diego, there is a beer garden as well as street vendors to peruse through. The 70th annual Ocean Beach Kite Festival is free and goes from 10 a.m. to 4 p.m. Saturday at Robb Field. If you forgot to book a brunch place to take mom to for her special day, take her to the San Diego Paella Wine & Beer Festival. More than 60 participants are competing in this quintessential Spanish culinary competition, where, because the festival was chosen as the USA Paella Valenciana World Semifinal, the winner will travel to Spain for the 57th World Paella Championship. There is live music and attendees get unlimited paella with three samples of sangria, wine, beer or spirits. The event goes from 1 p.m. to 6 p.m. Saturday at Embarcadero South Marina Park. Tickets start at $40. From unconventional street arts to live musical talents, this free art festival in North Park celebrates the artistic craftsmanship of the community. Nine square blocks of University Avenue will be transformed into interactive exhibits, wears from local makers, fine art and an array of live music. This year’s artistry goes beyond the traditional media. At the festival’s new Craft Beer Block, meticulously designed dishes, cocktails and craft brew recipes. The 22nd annual Festival of Arts goes from 11 a.m. to 10 p.m. Saturday. The festival is free, but the admission to the Craft Beer Block is $25, which includes food and beer samplings. Holi, a popular Indian festival to welcome spring, is this weekend. Spring is also a time to start anew so the festival is dedicated to spiritual and social harmony, which is expressed through dance and music. People bury the hatchet with a warm embrace and throw their worries to the wind (represented by the festive colors, which are available for sale at the festival). There is also yoga lessons throughout the day. The Holi Festival of Colors goes from 11 a.m. to 4 p.m. at Oceanside Pier Amphitheater. Tickets are $6.50 online and $8 at the door.